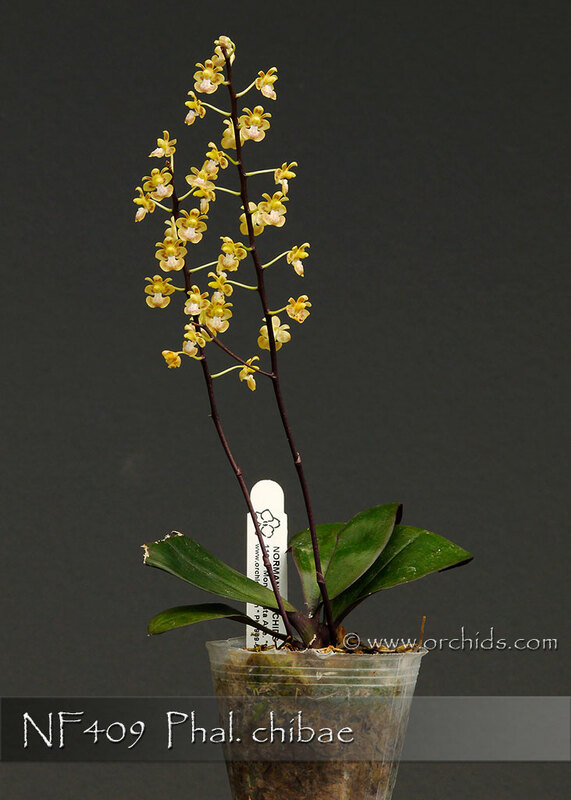 An easy-growing and very vigorous strain of this adorable micro-miniature Phalaenopsis species ! Endemic to Vietnam, this hot to warm grower is found growing under low Phalaenopsis light at elevations from 400-600 meters. 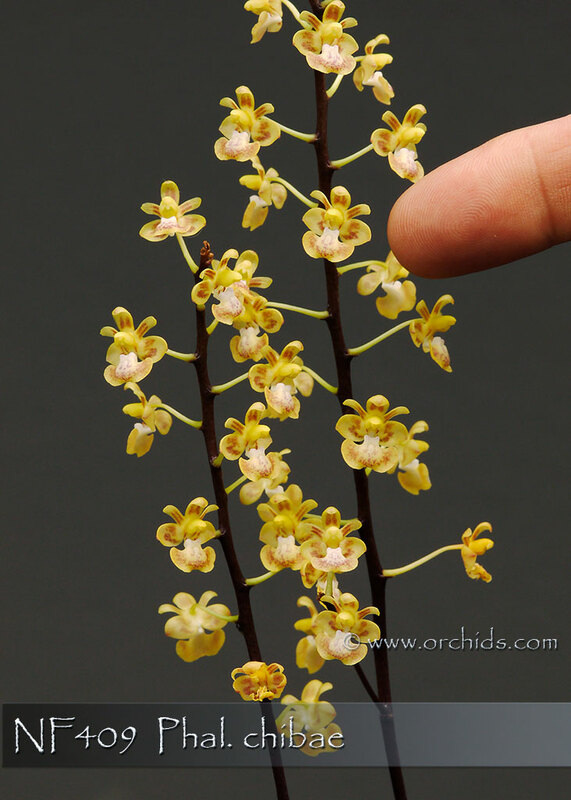 Its erect inflorescence can produce over 13 simultaneously opening flowers, the inflorescences often branching on fully mature plants for an abundant display of micro-mini flowers. Its beautiful foliage with a slight purple cast under the leaves makes it very ornamental even when not in flower. These are 3-year old plants in 3” pots. 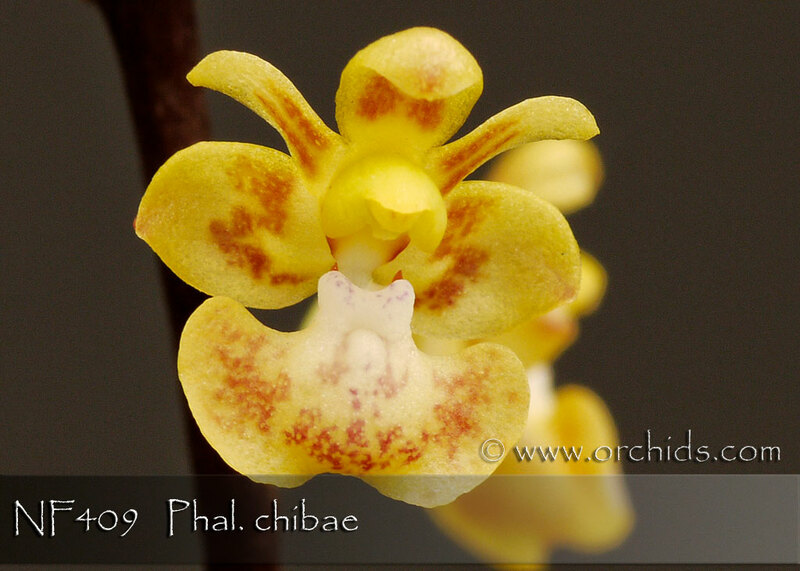 Not often available and Highly Recommended for every Phalaenopsis species collection !